A new study has been released by the American Addiction Centers showing the contents of ecstasy tablets throughout the UK, America, Canada, Netherlands, Australia and Turkey. This study done by the AAC used data taken from tested results and consumption of users via PillReports. 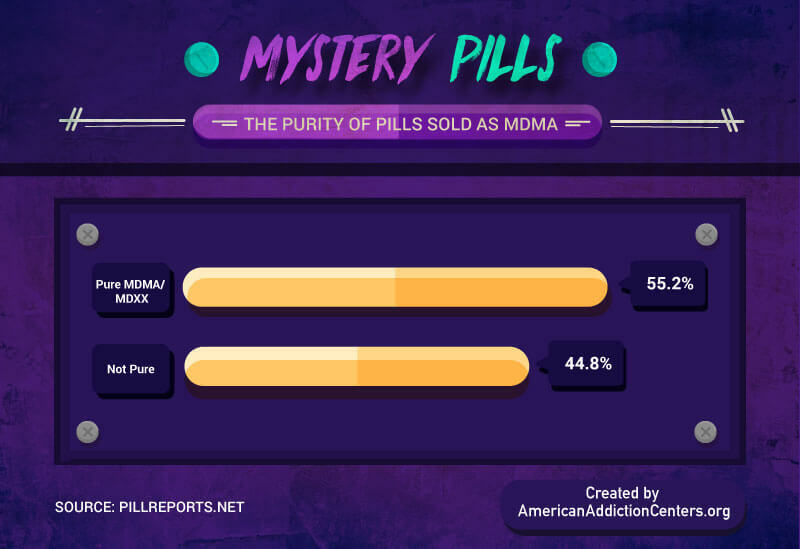 The shocking results have shown that the purity of pills sold as MDMA leave you with a percentage of only 55.2% chance of actually receiving MDMA/MDXX in your ecstasy pills. 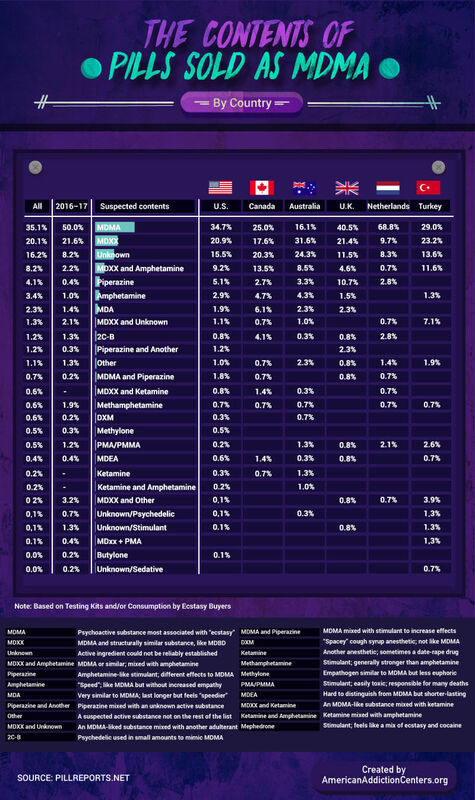 The AAC published a chart by country to show the contents of pills sold as MDMA. Shockingly enough Australia’s results came back to show only 16.1% of their pills actually had MDMA and 24.3% of their pills had unknown contents. The Netherlands came back with 68.8% of their pills actually containing MDMA but they were second highest to Turkey in percentage of pills containing PMA/PMMA (2.1%). 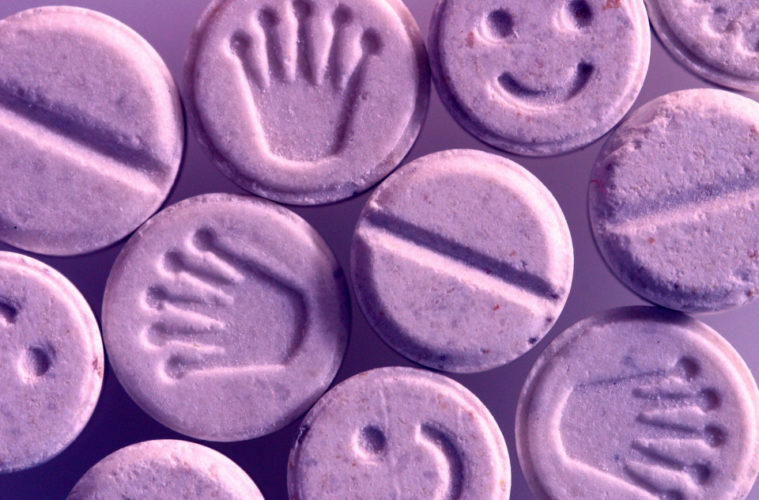 The UK returned with 40.5% of their pills containing MDMA whilst 10.7% of their pills contained Piperazine which is a discontinued chemical that was used in the treatment of common roundworms and pinworms. Considering the UK is so close to us, it’s quite a scary statistic. The U.S had 34.7% of their pills containing MDMA whilst 9.2% contained MDXX and Amphetamine. Only 25% of Canada’s pills contained MDMA with 20.3% of their contents registering as unknown. Turkey’s percentage of pills actually containing MDMA was 29% and a 7.1% of pills containing MDXX and Unknown contents. Check out the full table of percentages below. All images used are credited to the American Addiction Centers.